The grande finale to our week of pizzas is another very different spin on your classic pie – do you hear a “baa”? Yes, it is lamb! 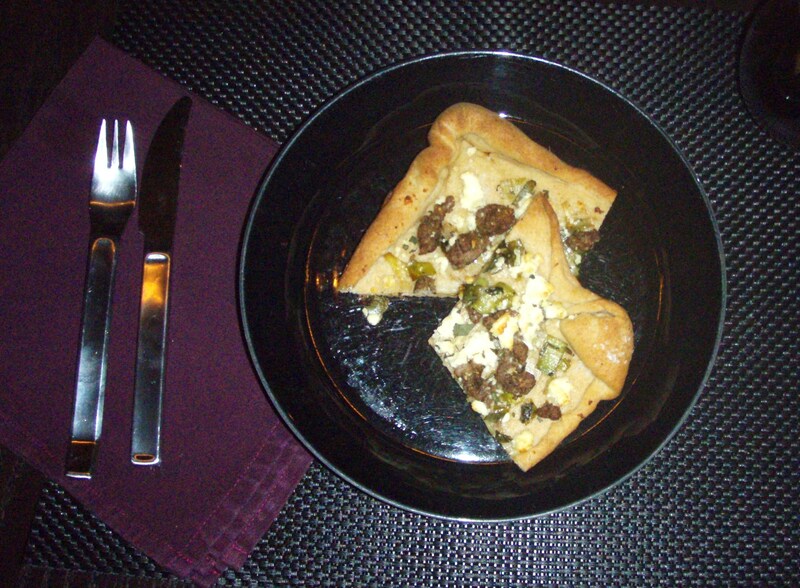 I was inspired by a Martha Stewart recipe for lamb flatbread with mint and feta and had to try it. Of course, Martha made her own crust and I bought mine from the store. But, my way is much more simple and can be made on a week night. So, take that Martha – and thanks for the inspiration! Assembly: Wash leek well. I washed, cut and then soaked in ice water to remove any sand. Saute the leek and scallion in a small amount of olive oil and butter. Season with salt and pepper. Set onion mixture aside. Add a bit more olive oil to the pan and cook the lamb. Break the lamb up into small pieces and cook until brown. Drain the lamb on a plate with a paper towel to remove any grease. Roll out the dough (I’d use a half dough if you don’t use whole wheat) and layer the onion mixture. 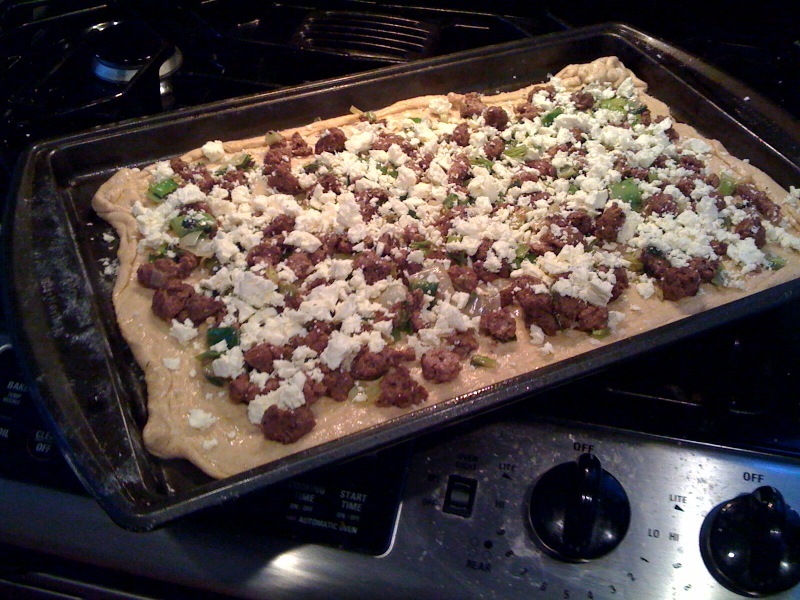 Add the lamb and crumble feta cheese on top. At this point, I like to add sea salt to the crust. Bake at 400 until the dough is crisp and cheese has slightly melted. Sprinkle the fresh mint on the hot pizza and serve!